Getting a marriage license in Denmark requires quite a bit of documentation. Make sure you give yourselves plenty of time to meet all the marriage requirements prior to your wedding date. Your original birth certificates and valid passports are required in Denmark. If your name is different now than when the documents were issued, you will need to show an official court decree about your name change. Some locales (Kommunes) require a 3-day residency. You must be physically and legally in Denmark at the time of your wedding. If you've applied for asylum in Denmark, you cannot get married in Denmark. It is recommended that you plan on staying in Denmark for at least 3 weeks. It may take the marriage offices up to two weeks to process your paperwork. If the documentation you provide needs further clarification, there could be an additional 2 to 4 weeks wait. Documents that are not in English or German must be translated. You will have to give a declaration that you are not related to one another by blood, through marriage, or through adoption. Registration of your family status. This cannot be older than 2 months. You need to declare whether either of you have any natural or adopted children, or if you are expecting children by another man or woman. It is recommended that you verify your marital status by showing copies of your last U.S. income tax returns. Registration of your address that is issued by authorities in your municipality. It cannot be older than 2 months. If you are living abroad, you will need to provide your residence permits. 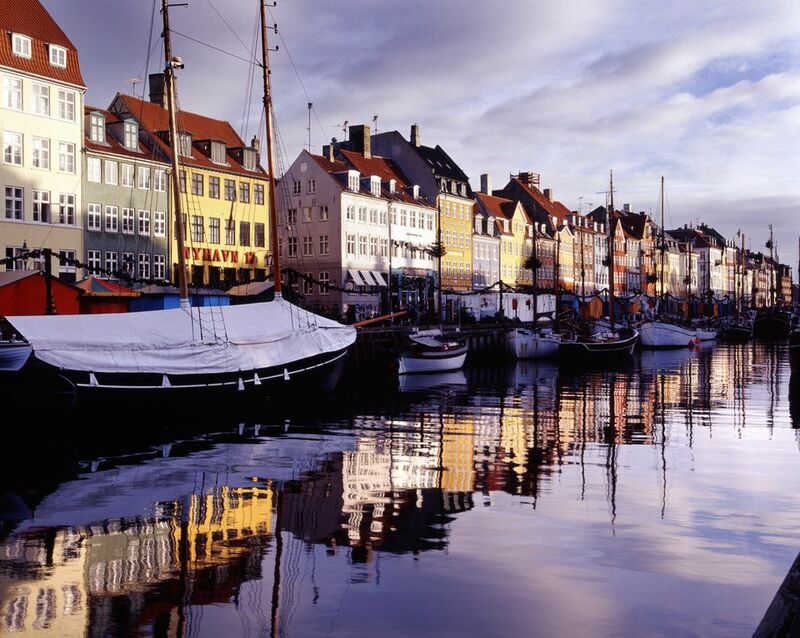 Your Visa or proof of entry and arrival in Denmark may be required. If you are military personnel, you will need to provide a permission to marry from your Commander. In Denmark, you can have either a church wedding or a civil wedding. With the mayor's permission, a civil wedding may take place in a forest, or a park, etc. A registered partnership may only have a civil ceremony. Some religious faiths will give an ecclesiastical blessing, but they are not obliged to do so. You need to confirm the requirements of the church where you want to be married as they may want additional documentation. If either of you were divorced, you will need to show the final divorce decree, give proof that no appeal has been filed, provide a statement that you are both free to remarry. Danish authorities must approve foreign divorce or annulment decrees before a marriage can take place. Your original divorce decree, the file number, and the date that the divorce received a final judgment. A statement that no appeal is pending and that no appeal can be filed. Confirmation that you are free to remarry after the divorce. If either of you were widowed, you will need to present a death certificate or a probate court certificate. In both situations, you will need to show evidence that all community property has been legally divided. You can call +45 33 12 23 80 for further information. Non-residents must pay a fee of 500 Danish Kroners. If either of you are under the age of 18, you will have to receive permission to marry from the prefect of the county where you reside in Denmark. If you are getting married in Copenhagen, the Overpraesidium or Prefect of Copenhagen at Hammerensgade 1, 1267 Copenhagen K.
You will also have to provide evidence that your parents or guardian consent to your marriage. If you do have a guardian, proof of the guardianship must also be provided. Yes. However, one of you must be a Danish citizen or you both must have lived in Denmark with a permanent address in Denmark for the last two years. "Citizens of Norway, Sweden, Iceland, Finland, and Holland equate to Danish citizens in this respect." Registered partnerships in Denmark have the same legal rights and obligations as marriages with a few exceptions. One of the exceptions is that registered partners may not adopt children together. In Denmark, women retain their maiden names. If you want to adopt your spouse's surname, you will need to notify the Marriage Authority. You will need to have 2 witnesses at your marriage ceremony. Many public offices in Denmark close by noon on Fridays.